"..Lopez has a path to the semi finals where Raonic may await and he's worth chancing at a decent price.."
Last week's strategy of backing Xavier Malisse at Queen's Club at a whopping [500.0] was really unlucky, as the X-Man came within a whisker of defeating Juan Martin Del Potro and would have had a clear run to the semi finals had the Belgian not choked in the final set against Delpo. 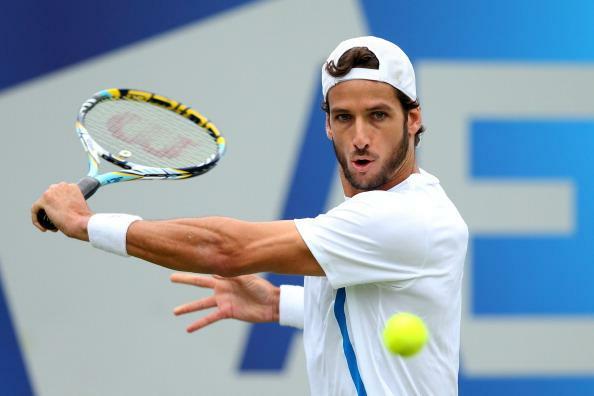 The likes of Juan Monaco, Albert Ramos, Fabio Fognini, Alex Dolgopolov and Martin Klizan can all be ruled out for having poor records on grass, but if he's back to fitness Feliciano Lopez has the credentials to emerge from the top half at a tempting [17.0]. Marinko Matosevic reached the last eight here as a qualifier 12 months ago beating Richard Gasquet and James Ward and at around [81.0] he has back-to-lay chances too.